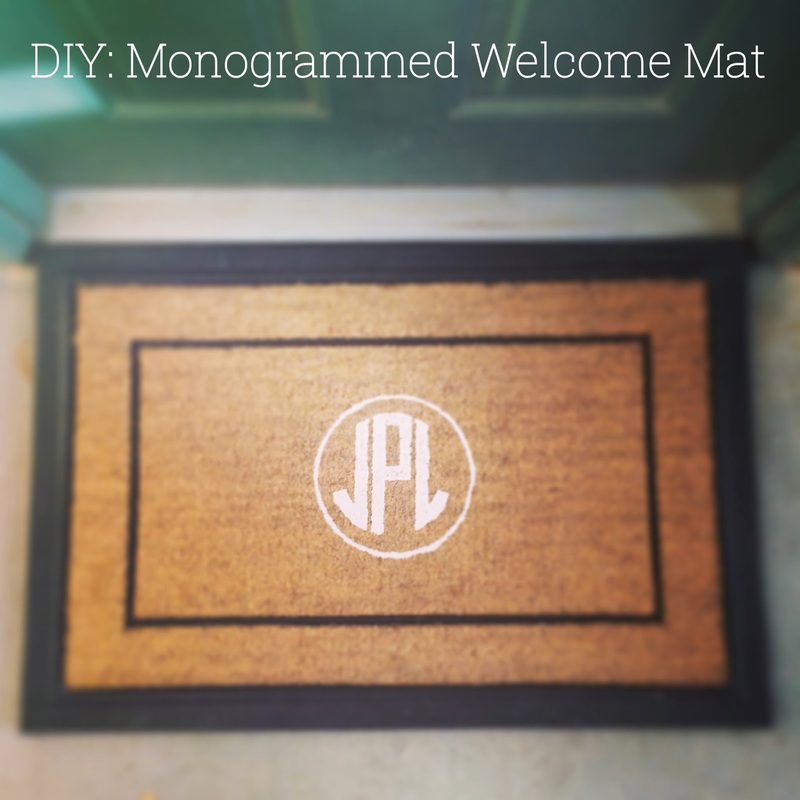 I have wanted a monogrammed welcome mat for a while now, but I just couldn't bring myself to bite the bullet and buy one. So, instead, I thought I would give a DIY a go. And let me tell you, it was SO easy!! Truly, even for non-DIYers, you will be hard pressed to mess this up. The most difficult part was finding the plain coir mat. I looked high and low, and after about 10 trips to different places (Target, Home Depot, World Market, JoAnn’s, Hobby Lobby, etc. ), I finally found one at Lowes. BUT, if you have an Ikea nearby, fear not! 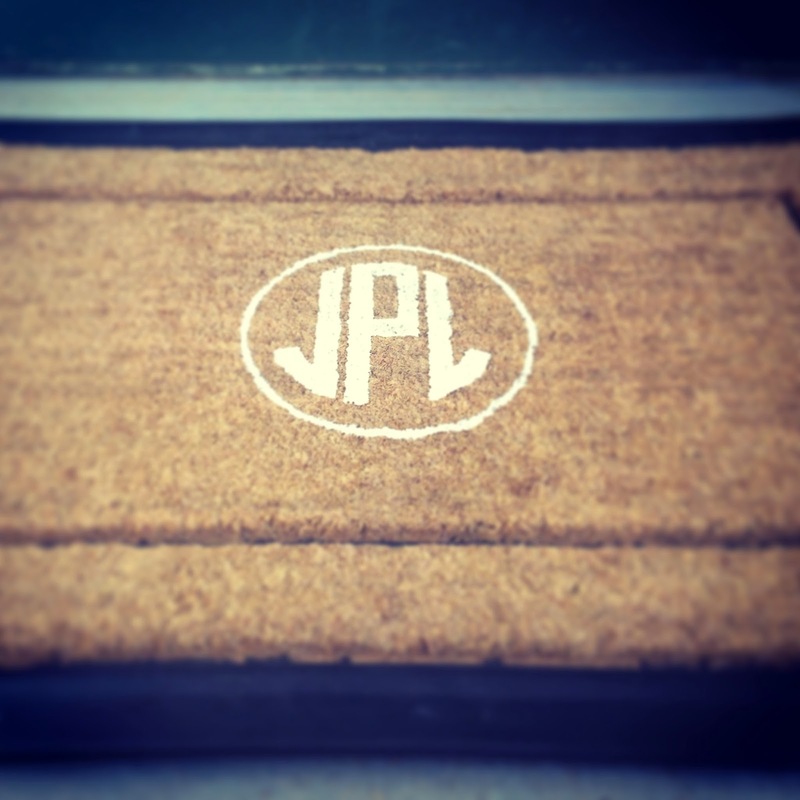 They sell the perfect mat... here and here (which at $5 or $10, is a steal!). A few weeks ago, I shared a link to a monogram generator, and I used the same website to generate this monogram… they have several monogram layouts, so make sure to take a look around to choose your favorite. 1. Begin by generating your monogram using this generator. Then print this monogram out on the 8.5x11 sticky label. 2. 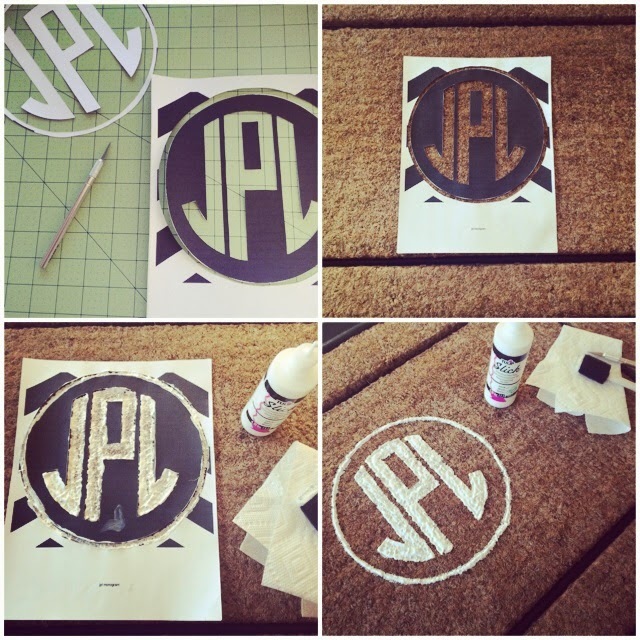 Using your X-acto knife, cut out the monogram to make a stencil. 3. After you have your stencil, remove the non-sticky backing, and place the sticky side on to the mat. Make sure you center your stencil properly. 4. Make sure that your stencil fully sticks to the mat, and then use your paint brush and fabric paint, to paint on the inside of the stencil. Even though you are using a stencil, be gentle around the edges so no paint leaks underneath. 5. While the paint is still wet, remove the stencil and fill in any areas that need to be touched up. 6. Allow the mat to dry for 24 hours – better safe than sorry. I saw a few tutorials that used spray paint. They looked nice, but, in my opinion, the edges of the monogram were not as crisp as the fabric paint. Love this so much!! I've been wanting to do something like this for a while so now I think I have to add it to my agenda this weekend!! :) You did such a great job! This looks beautiful, I am very impressed! I said it on Instagram and I'll say it again - open your own etsy shop girl!! I can't find that link you mentioned to the generator...would you mind sending it to me? Thanks!! Love it! My building doesn't allow mats...what a weird rule, right?? This is precious! I have been looking for a new door mat as well. This just might be what I do! I'm gonna need you to go ahead and open up an etsy shop...okay thanks! Seriously, I love all of your projects!! LISA! I truly love every DIY you post! Thanks for sharing! I want to make this now! I love it! And I love that picture of little Scout! She is the cutest!!! So cute, I love anything monogram! So stinkin' cute! I've got to try this! I love this! While I think you may be overestimating my x-acto knife prowess, I definitely love the idea! It's so cute!! So cute! I'm impressed at your DIY skills and I love this idea!! 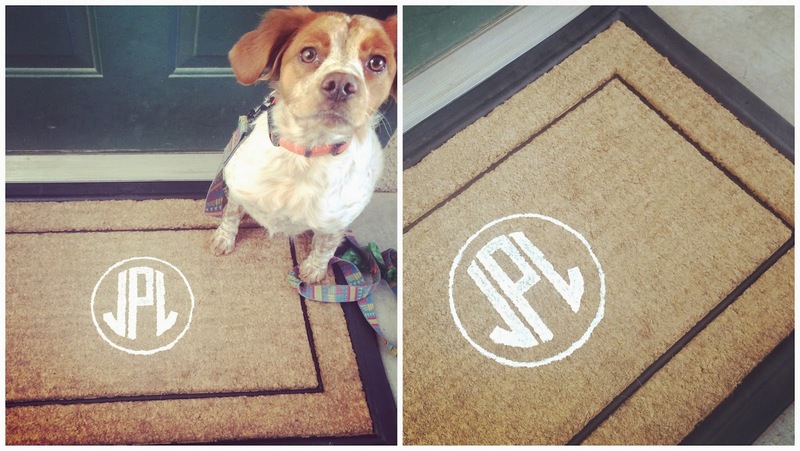 Super cute welcome mat! I definitely want to make something like that soon. Thanks for sharing! nice mats!! i also love doing DIY coir matting. painted mats looks very cool if done correctly.